What Brand of Rear Wiper Blade? Not the exactly the most technical of topic! What brand of rear wiper blade works?? Replied by Zee Zee Top on topic What Brand of Rear Wiper Blade? I had the same problem. 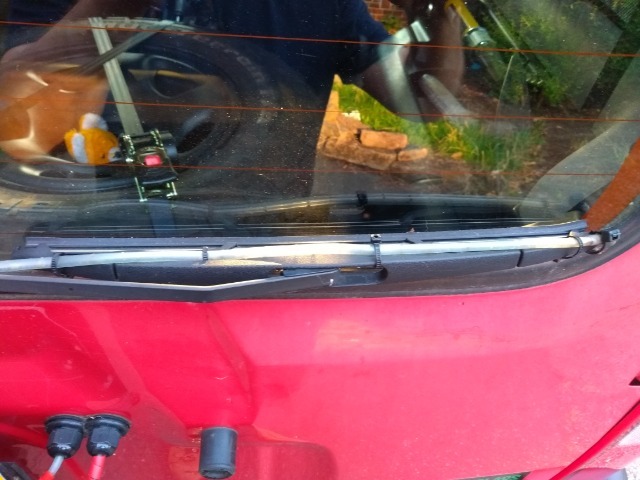 The only wiper I found that would clear the screen properly was a genuine Suzuki one. Not expensive and no frustration. Replied by jackonlyjack on topic What Brand of Rear Wiper Blade? Replied by yakuza on topic What Brand of Rear Wiper Blade? I never use my rear wipers on any car.. They only scratch the windows as the rear collects too much sand. I have been thinking about removing it and use the hole for a CB antenna. Replied by Scimike on topic What Brand of Rear Wiper Blade? I replaced mine with one from Halfords. Can't remember if it was Bosch or Halfords own brand (Velo), but which ever it has no issues following the very slight curve on the rear window. I do recall I had to try a few as the one listed on the computer system did not fit the arm, it was too wide. Trial and error with the staff found one that fitted. You can also try it outside the store and if you are not happy with the way it follows the window shape ask for a refund. Last edit: 30 Aug 2018 21:26 by Scimike. Replied by theoldseacaptain on topic What Brand of Rear Wiper Blade? The Bosch one and trail fit the Valeo was Halfords, so maybe changed supplier / specs unfortunately. Did you need to fit a 107 arm Jack? From what I found its a special blade?? Failing that it looks like it will be a trip to Suzuki! Replied by NineCherries on topic What Brand of Rear Wiper Blade? I had the same issue with a Bosch blade. I took a couple of mins and dismantled the old blade, reclaimed the metal strips and swapped them out on the new Bosch blade. Bit of a minor faff but I wanted it sorted. I’ll probably grab a Suzuki one next time to save any hassle.